Fishing is a way of life for Captain Cook and his passion for catching fish means that he will put his heart and soul into catching you the fish of a lifetime. 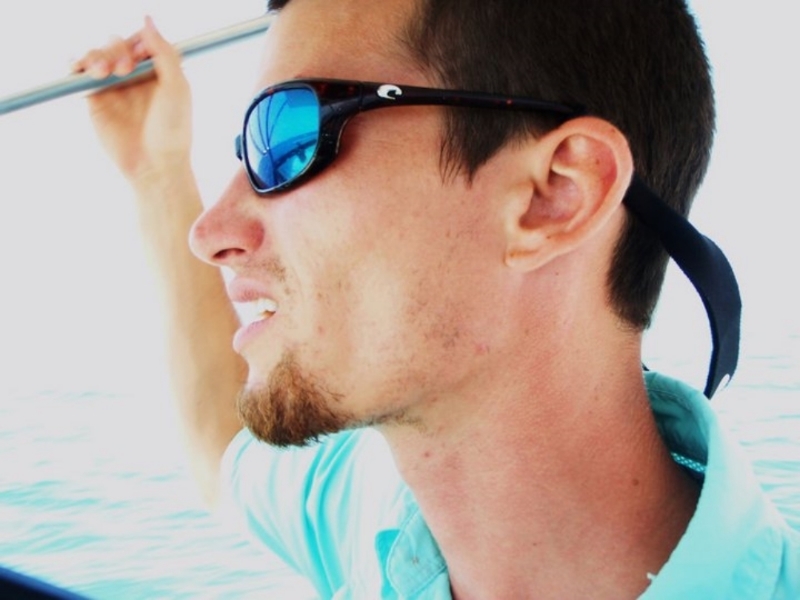 Captain Colt Cook considers fishing a way of life and is excited share his love for salt water and marine life with others on the island of St. Croix. Growing up on the Gulf Coast of south Texas, Captain Cook has always been interested in the sport of fishing and the array of species that live beneath the water. His passion for the ocean allowed him to achieve a bachelor's and master's degree in Marine Biology from the University of Texas at Austin. His knowledge of the marine world along with his many years of experience is something that sets Captain Cook apart. Captain Cook has logged countless hours on ships of all sizes and is a US Coast Guard certified captain. In addition to fishing Captain Cook is also a scuba diving and free diving enthusiast. First Mate Brooke has been fishing with Colt for almost 10 years and continues to accompany him on charters occasionally. Brooke will make sure your fishing trip is captured for you to enjoy years from now. Brooke's degree in journalism has allowed her to incorporate photography and video into each charter. Captain Cook and Brooke are ready to give you the best fishing experience possible aboard the Lone Star Lady and Hook n’ Cook.